Why technology in a real estate company matters to buyers.. In this fast paced crazy world of real estate that sells in hours not weeks it very important for buyers to find, identify and preview a home as fast as they can. It is also important that the homes they look at online are actually still active listings for sale. When a buyer uses sites such as Zillow they are getting outdated information a lot of the time. Many of the homes are either left on the site way after they sell or go under contract since they are not required to follow the same MLS rules that local broker sites are required to use. Since they sell your information (as a buyer on the site) to real estate agents it is beneficial for them to have as many “active listings” for you to inquire about. That equals more leads and more sales for them. They also have homes still on there market in fine print as “off the market”. So many time brokers get calls about homes that are listed on Zillow but aren’t actually listed for sale. 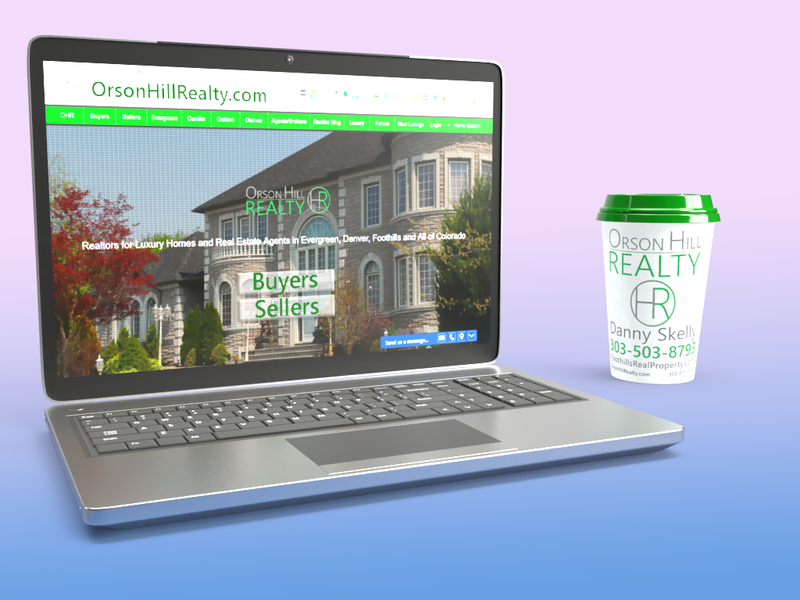 Another thing that Orson Hill Realty uses is real time property alerts. Meaning almost the moment the listing hits the MLS buyers get an email that tells them all about the property with a live link to set up an appointment to see the home. This is so important in this day and age. As a buyer the sooner you see a home the more likely you are to be the one to submit an offer and go under contract. If a buyer is looking in the foothills for homes under $500,000 this is almost a must for you since the average days on market are about 15-20 days depending on the time of year and if you are looking under $400,000 your days on market drop drastically to about 5 days. As a buyer you may have a long list of things you are looking for in a new home. Orson Hill Realty has one of the most advanced searches in the area. You can search for homes under so many different parameters. Whatever you need is set up in our search. So you won’t be getting results and emails about homes that are above or below your pricepoint, Homes that are too small or too big. You will only be alerted about homes that suit the needs you have already determined in your search. Below is the advanced search form…Give it a test run and see for yourself..
One of the reasons I left my old real estate company behind was because of the attitude of my previous employing broker in regards to technology. Countless times he sit in meetings and say “websites are no big deal. They are basically digital business cards”. I owned many businesses in my life and I can tell you that websites have been more than that for over 16 years now. One of the businesses I owned was a printshop and a digital marketing company. This was back in 2005 in SW Florida. Even back then I understood the importance of a website for real estate professionals. I have taken all I learned from marketing their businesses and applied to my own. I am an expert in online and digital marketing and since NAR says about 90% of all home buyers find their home online, I get your home out there on the internet. The internet is the number one most important way to market your home. Some agents claim that open houses or print media are the best. That is simply not true. Those are methods that agents use to gather buyer leads. Yes I said it. It is a dirty little secret most Realtors won’t tell you. Only 2-3% of homes sell from open houses. Online is where it is at.If your interviewing a real estate agent to list your home and they say “I don’t really know much about online marketing” you should probably keep looking for a new agent. There are so many real estate agents that aren’t even able to open their Gmail. That is not a real estate agent that is able to do the best for their client in 2019 and beyond. Was having an online debate the other day. A gentleman that was really not aware of how the real estate world works. Was angry because I told someone online that there were only a couple listings in their pricepoint for their list of features they desired. This man said “what kind of agent are you? you can’t find them the right home in evergreen?” For starters they were looking for 4 beds on 10+acres that was a horse property for under $500K. Let’s leave out the fact this doesn’t exist (maybe it did 20 years ago but not today). The biggest problem with this guys comment was that I couldn’t find the homes. These days almost every listing is available online in the back end of our MLS. No one has “pocket listings” anymore. Unless you are Cher selling your $15 Million beach house you have your home available to the public. Or at least in the back end of the MLS. So for someone to say “you can’t find me a home?” it is because that home doesn’t exist at all or doesn’t exist in your budget.